There are a very limited number of new graves available, upon request, and burials still take place in existing graves with the approval of the Owner of the Rights to the grave. 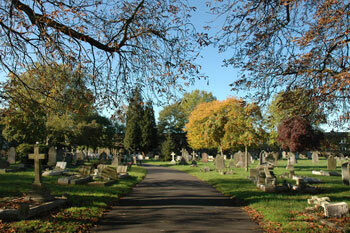 If you are driving to attend a burial in the Old Mortlake Burial Ground, please be aware that the cemetery is very small. A limited number of cars can drive into the cemetery and park on the road inside, but space must be left for the funeral cars to be able to drive in and past any parked vehicles. If you have found a person using our Burial register search, and would like to visit the grave site, please contact the Cemetery Office who may be able to provide you with a map of the location.